With the turning of the calendar page, we like to share our list of landscaping tasks to keep your yard in top condition. As a transition month, November often has a full range of weather. Winter doesn’t officially begin until December, but in this transition month we are ready to plan ahead. Atlanta generally sees cooler weather throughout the month of November while still enjoying sunny days. 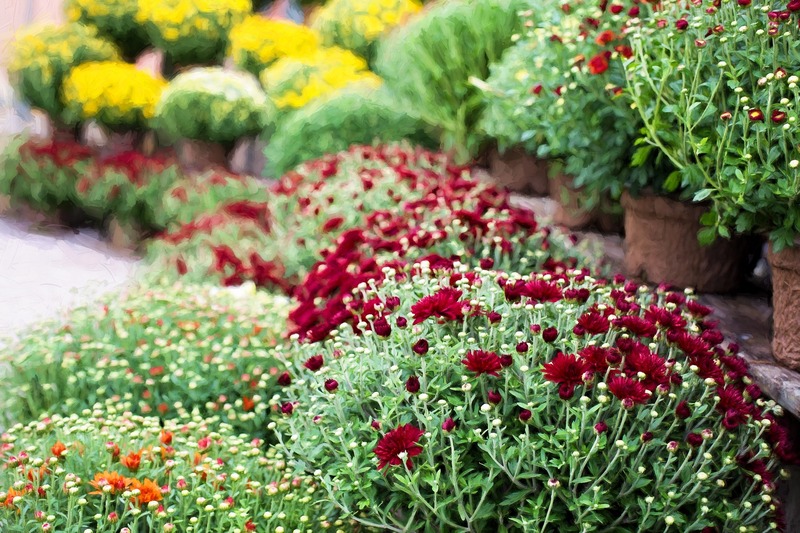 Fall mums make for a great addition of color in your November landscape. Continue mowing, trimming, and edging the lawn as needed. Leaves are still falling; make sure they are raked and blown to proper areas. While the sunny days may be misleading, this is the perfect time to begin shutting down irrigation systems and working on winterizing those systems along with the mower and other yard care tools. Cooler temperatures means that some flowers are just ending their season. 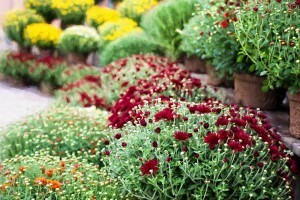 This is the perfect time to work on deadheading, fertilizing, and weeding as necessary to clean up those dying flowers. November is the perfect time to apply post-emergent to control weeds as necessary. Slow release fertilizer needs to be applied to fescue lawns. Fall color shall be installed. Simple potted plants on the porch can assist in this area. Plan ahead and plant flowering spring bulbs. Balled and burlapped trees and shrubs adapt well throughout the month of November. Take advantage of the weather and fall digging season to get those trees and shrubs planted. Watch for the first frost to cut back perennials. If you are planning ahead, this is a great time to plant new trees and shrubs. When taking advantage of this time of year, the trees and shrubs that you plant will be well established by the beginning of the next growing season. Even though it is only November, Christmas decorations start making their way out in the stores, and it is prime time to begin attacking the exterior of your home with Christmas decorations as well. While you can’t count 100% on the cooperation of the weather, getting those lights out early is a great way to beat the cold temperatures. Hutcheson Horticultural is here to assist you with November and year round landscaping, maintenance, and installation needs. Call us tdoay at 770-924-1001.